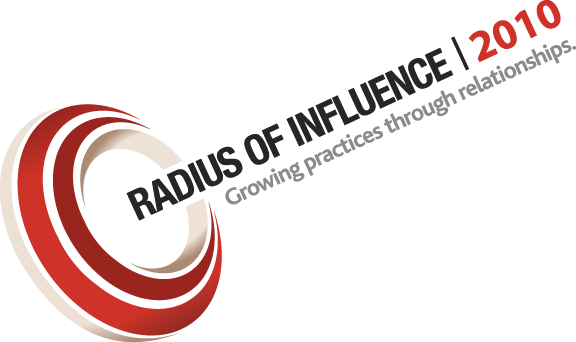 I spoke to today in Tampa at the Radius of Influence conference on attorney marketing. But since I made the presentation without PowerPoint or other visual aids, just an old-fashioned talk with questions and answers, it left participants to rely on equally old-fashioned note taking. So this post provides the attendees with an outline of my remarks, as derived from some postings over the years. Many of the people were from InjuryBoard, who co-hosted along with the American Association for Justice. InjuryBoard, for those that don’t know, is a group blog of personal injury attorneys that has had a spotty record with respect to creating quality posts, with some using their blogs to discuss local accidents and using the names of the victims. As many know, I’ve been sharply critical of conduct that I view as electronic solicitation. Without question there has been a proliferation of tasteless, and at times obnoxious, methods of attorney advertising in recent years. New technology and an increase in the types of media available for advertising have exacerbated this problem and made it more ubiquitous. As a result, among other things, the public perception of the legal profession has been greatly diminished. I see this same attitude when I go to pick juries, with jurors rolling their eyes, often at the mere mention that they may be sitting on a personal injury case. There is no question about it; the small number of lawyers that engage in the tasteless and obnoxious advertising hurts all claimants that set foot in the courthouse, and attorneys in general. My objective was to change some minds and urge people to stick to quality so that the profession does not get downgraded further, and so that claimants aren’t further hurt by the juror cynicism that their conduct breeds. In the process, the reputation of the attorneys may be enhanced and they may find themselves building relationships with others who value their opinions. Perhaps they can write about tort “reform,” pending legislation, decisions of interest and other subjects in an interesting and fun way. Instead of racing to the bottom in marketing, perhaps they can build a reputation by writing well on subjects that they already know a lot about. And engage the rest of the legal blogosphere in the process so that they do not remain an island unto themselves. And remember, you are being watched by your friends and your neighbors. And your jurors. You can’t build a reputation, and earn respect from others, if you are wallowing in the gutter. I was one of those taking notes and appreciate the additional links. I found your point about jurors reading old posts especially helpful for me and a different way to think about posts. Sometimes you spend so much time with what to write nest, you forget about going back and seeing what you already have out there. Thank you for the presentation. Eric – I, too, was there for your “50 minutes at the mike” and found your presentation enlightening and informative. You have been very successful in getting your message across and we should all be as focused on promoting our profession as we are focused on promoting ourselves. Thanks! Good to meet you, Eric, and thanks for sharing your experience with us. Your approach is what many of us are trying to accomplish. It was fun to come down and speak, and I’m glad that some of you were able to get something from the remarks.